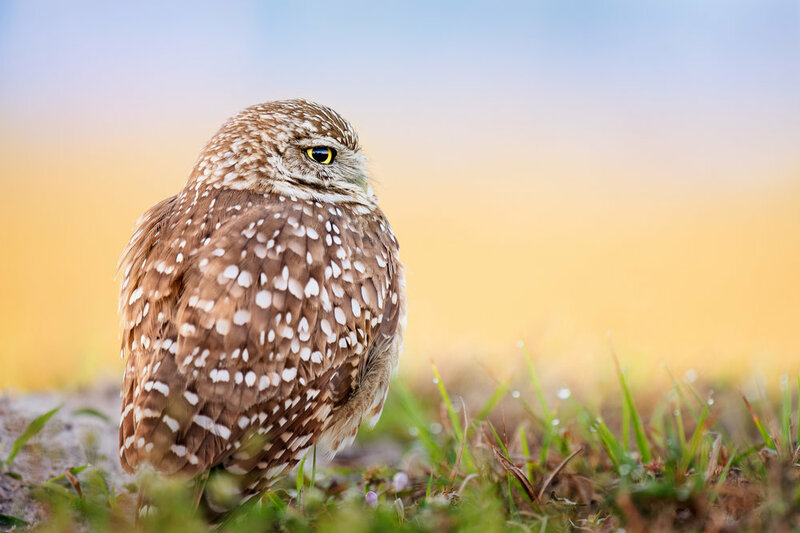 Please join me to enjoy and photograph the incredibly cute and charismatic Burrowing Owls of Florida. 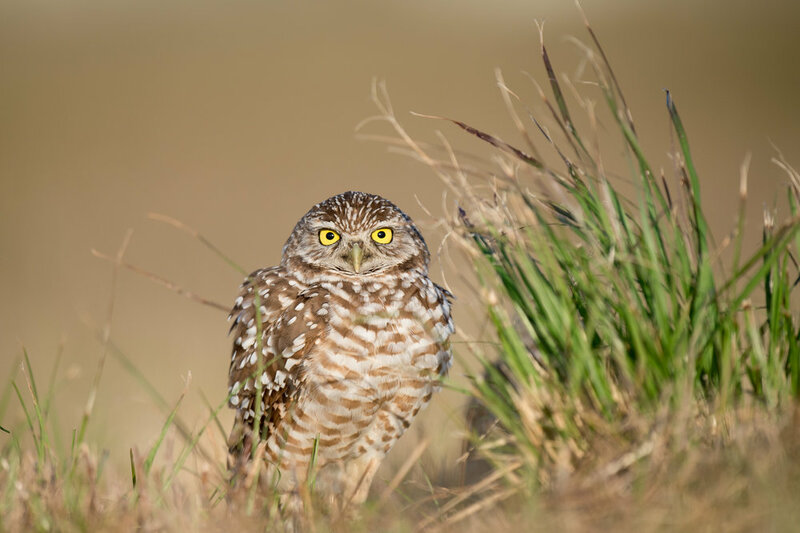 I will take you to an active burrow or two where we will set up and wait patiently for the owls to appear and do their thing. 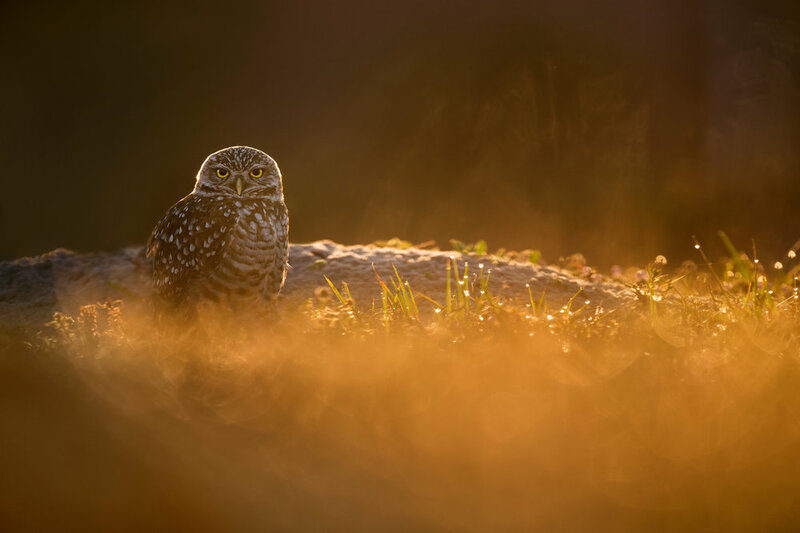 We will concentrate on minimal disturbance to the owls and it may require some patience for them to show out of their burrows. 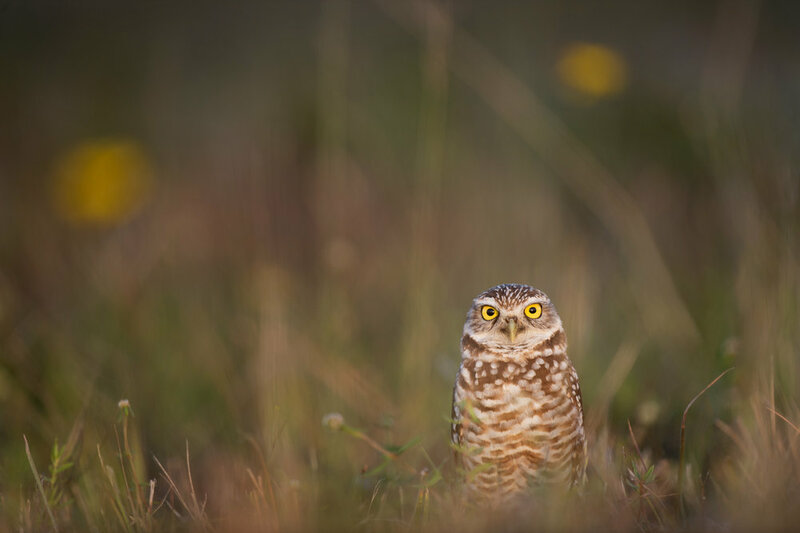 I will provide the exact location which will be one of the more photogenic burrows and locations to find these owls. 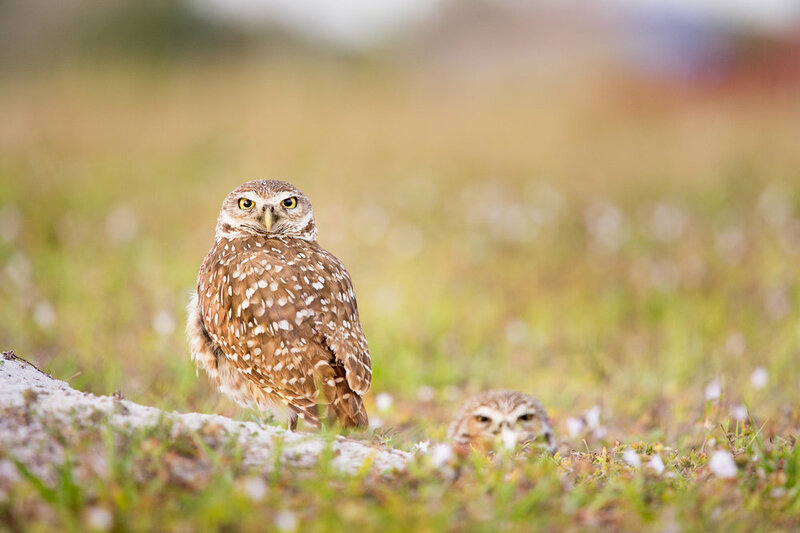 While these owls can be found all over Cape Coral, finding an active burrow that is out of the way and less visited by people is not an easy chore. That will be the goal on this workshop, to find and photograph them in a beautiful open space that provides nice backgrounds and lighting. 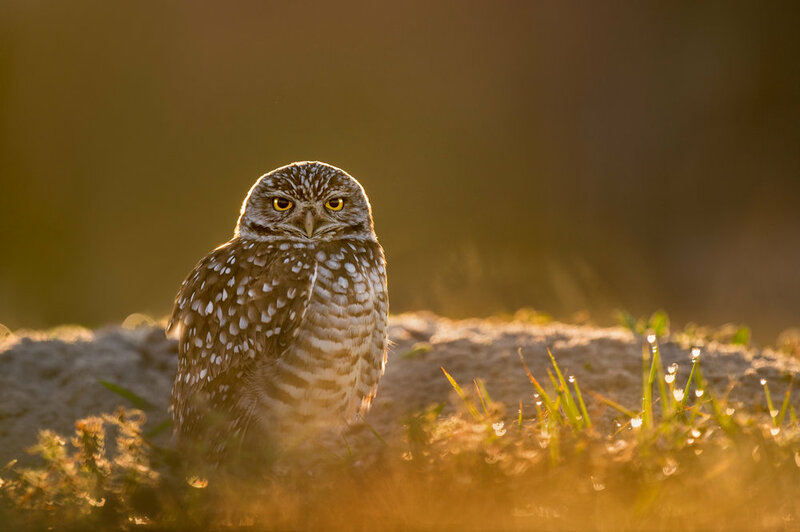 Get ready to laugh and smile as you watch these incredibly charismatic little owls. They are smaller and cuter then you expect. Minimal walking as we will be shooting very close to where we park and we will be sitting or laying motionless near the owls’ burrow so as to disturb them minimally. We will be sitting or laying in some possibly uncomfortable dried grasses or dirt, depending on the burrows we visit. The locations will be variable but all within Cape Coral, Florida. 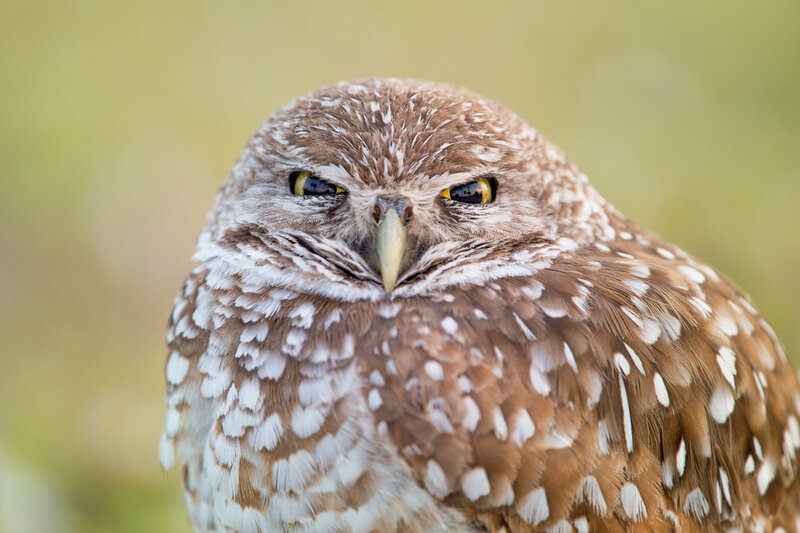 I will be scouting the day prior to the workshop to find the most photogenic and cooperative owls that we will visit. If we visit multiple locations you will be responsible for your own transportation. A ground pod or low level monopod or tripod unless you can hand hold your rig. A Tripod is fine since we will not be moving around much at all. 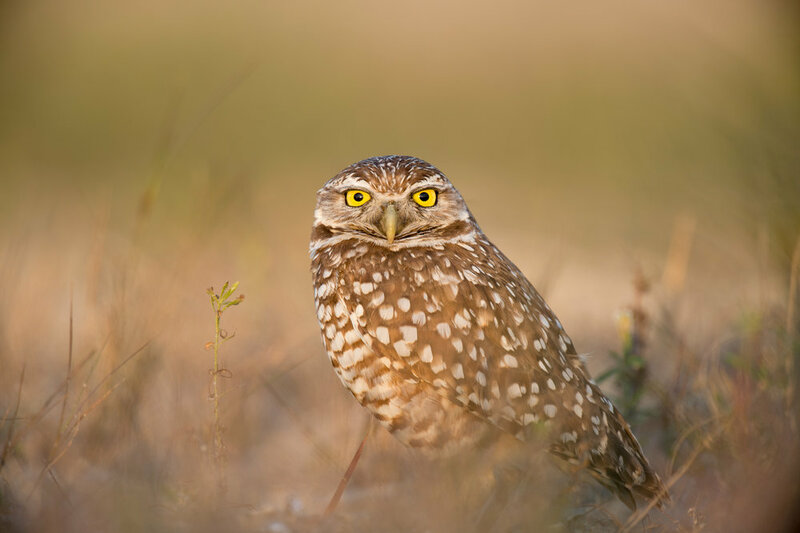 3 hours of wildlife photography instruction specifically tailored towards photographing burrowing owls on the ground. 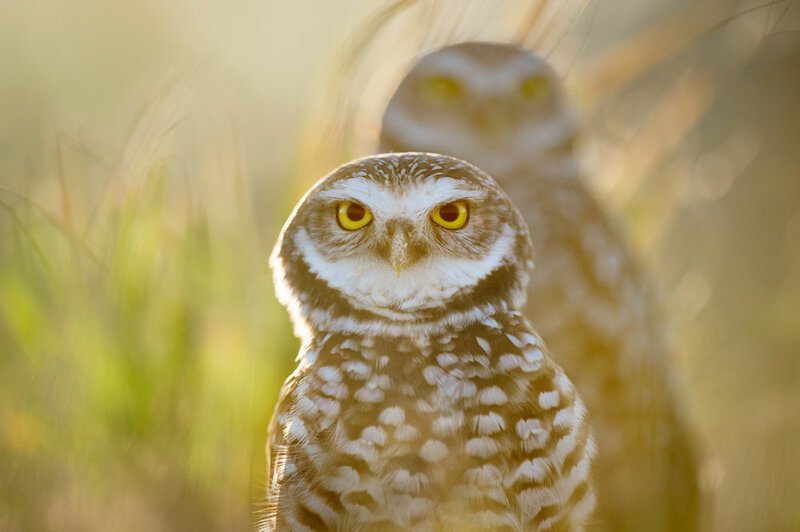 Suggestions on compositions and creative ways to photograph these owls. 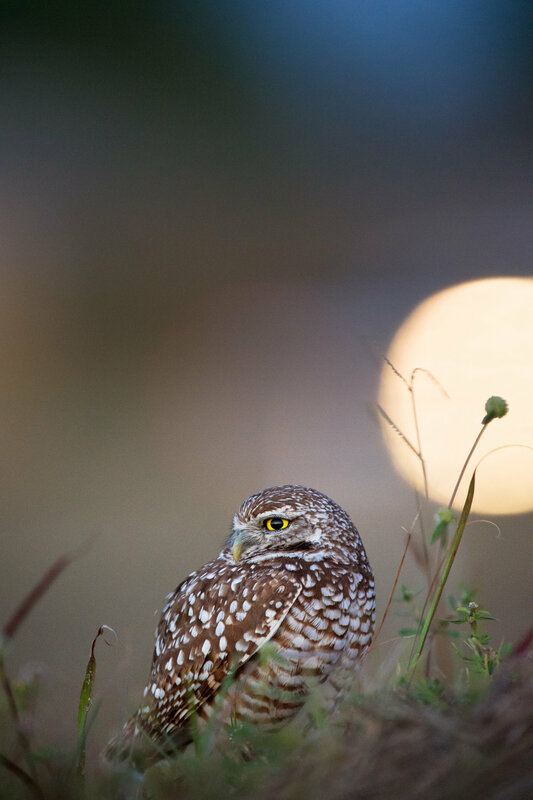 You can view some photos I have taken of the Burrowing Owls of Cape Coral Florida.